Planning your summer vacation abroad? These 12 factors may change your mind about air travel! Everyone involved with air travel works very hard to make sure all the suffering that comes with long commutes is neatly condensed into the shortened travel times, thanks to airplanes. Suffering builds character, and our friends in the aviation industry would never rob us of character building opportunities. There is a reason it is called smooth sailing and not flying. As soon as you are inside the airport, prepare for anything and everything. This is a place with no guarantees. When people tell you to have a safe trip, they actually mean it sincerely and literally. Airports are your undoing, especially if you do not know what you are about to face. 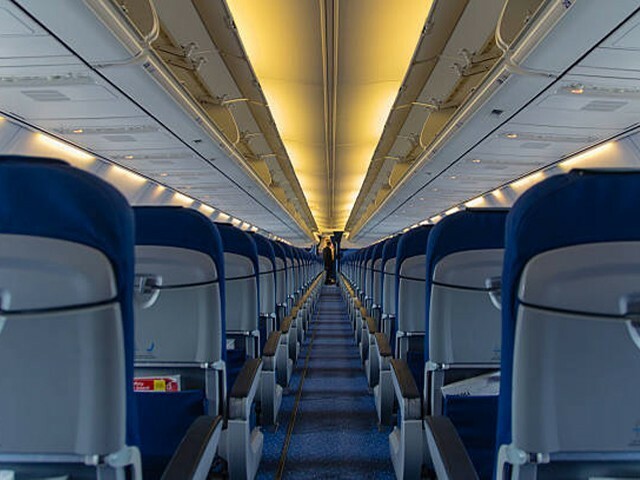 Regardless of whether or not you’re a frequent flyer, there are a few ways airlines will behave and a few ways you, as a passenger, will behave. 1. What is life without a little bit of mystery? Flight timings are merely wishful thinking. When you buy a ticket for a 10pm flight, its only suggesting that the flight may be at 10pm. Maybe it’s at 11pm, maybe it’s at midnight, maybe its two days later, who knows? If you take flight timings as strict schedules, it’s your problem, not the airlines’. The odds of a flight taking off in a timely manner are inversely proportional to the urgency of your travel. Going to spend a dull weekend with the family? Your 10pm flight will take off by 9:59pm. Going for an important work meeting you’ve worked tirelessly for? It’s midnight and your 10pm plane can’t be found; it’s playing hide and seek with your career. Airline caterers and airport eateries are in cahoots. Airport food is tasty but hyper-expensive; airplane food is free but nauseating. After being served algae-mulch on a four-hour flight, the $10 egg-salad sandwich suddenly seems really reasonable. It’s simple. If there is a crying baby on the airplane, they will always be seated next to you. If there are four babies on the plane, you’ll have one baby on each side. There’s a fifth baby? The airhostess will tape it to your head but not let you miss its inhumanely loud wailing. No one attractive will ever randomly sit with you. If someone even remotely good-looking comes and sits beside you, check your boarding pass – you’re probably in the wrong seat. The only way you know for sure that it is your seat is if you either have a chatty uncle who is strangely very interested in your life, or a sleepy aunty comfortably snoring loudly next to you, or one who belongs to the moral police! Airhostesses take a considerable amount of time demonstrating where the emergency exits are. Those flight safety instructions in the pocket are not really to read, they are to fan yourself when the it gets too hot in the plane, of course. People usually don’t listen because their emergency plan is to not fuss and just die like a reasonable person. If you get the window seat, the person on the aisle seat will look at you with disgust if you even think about going to the loo. If you have the aisle seat, the people sitting next to you will order drinks and go to the loo so frequently, you’ll workout a disturbingly accurate drinks-per-bathroom-break ratio. They say Albert Einstein turned into a mathematician sitting in the aisle seat taking a direct flight from Berlin to Princeton. 8. No one tells you what to do! The attendants will ask you to turn your phone off, but you won’t. You will pointlessly scroll through Facebook till the cellular network bar disappears, because you’re a rebel who doesn’t take orders from anyone. Being seated next to a first-time flyer will be a treat for your anxiety. As the plane starts descending, the aviation virgins will automatically turn on their recite-Kalma-out-loud switch, which can only mean one of two things: either they think the pilot won’t be able to land the plane safely, or they personally have plans to ensure the plane doesn’t land safely. In this day and age, you can’t really be sure now, can you? No one really knows why, but when the plane lands, everyone needs to be the first person to get out. Regardless of how far away your seat is from the exits, stand up, collect your hand carry and belongings, and try to get out. Climb over people if you have to but get out now! Maybe after eating, sleeping and mating, our fourth basal need is to not be on an airplane. Spontaneous amnesia will occur while waiting for your luggage at the collection point. It will pass before your eyes a couple of times, and you’ll be extremely sure it’s not yours. You will keep on cursing the airline for making you wait so long and then come to the conclusion that they have probably just lost your bag. However, when everyone’s left and that’s the only bag on the conveyor belt coming round again and again, you’ll have to take it home. This list is definitely not exhaustive, but this is most of the wisdom I’ve gathered over the years of almost missing flights, waiting four hours in the airport lounge, and being forced to be a referee in a baby-wailing showdown. Travelling in a plane isn’t easy; it requires a good prepping session. Hopefully, with this cheat sheet, you would know what is coming. So the next time you have a flight, be optimistic. Maybe one day we’ll realise being shot out of a slingshot is the best way to travel long distances, but until then… wheels up! Now that was funny! Great sense of humor.